Perhaps you knew the moment you stepped through the door that this is the place for you. Perhaps you came to a few services, joined a team, group, or task force, and began to settle in to congregational life. Perhaps you are new to us and want to make First Unitarian Society of Ithaca your spiritual home. Or perhaps you have been with us for years and have now decided to officially join our membership. A member is, simply stated, someone who has signed our membership book. However, we think of membership as a deeper connection to the congregation. Choosing to take the step from “friend,” to “member,” means committing to the mission, vision, and principles of our congregation. Membership (if obtained at least 30 days prior to the vote) gives one the right to vote on congregational issues at our annual meeting each May, or any special votes called by the Board throughout the year. It also ensures your inclusion in mailings which may go out throughout the year, and shows your support for liberal religion in the Ithaca community. After becoming a member, you will also begin to receive your subscription to UU World magazine. We want to know you and we hope you’ll enjoy getting to know us and all we can offer! Introduction to UU – These are held after service one Sunday every month and are run by our Membership Coordinator or a trained volunteer. These classes give you the opportunity to have your questions answered, and gives us a chance to find out more about you and your needs at First Unitarian Society of Ithaca. Exploring UU – This class is run by our minister every few months. 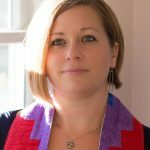 The three-hour long class goes into more depth than the Introduction option, and allows you to explore the rich histories of Unitarianism, Universalism, and their merger into Unitarian Universalism, as well as the unique history of our specific congregation. The former gives us a little bit of information about you and your family, and the latter serves as your annual pledge for the first year. The financial commitment can be in absolutely any amount; we never want finances to prevent anyone from joining. The minister will arrange a time for you to sign the membership book. Twice per year, we recognize our newest members in a special ceremony during Sunday service so that you may publicly share your official membership in this faith community. If you have additional questions not answered here our Membership Coordinator, Beth Pallace, is always happy to help. You may contact her via the church office phone system – 607-273-7521, ext. 24 or via email – memcoord@uuithaca.org, or in person on Sunday mornings. Whatever your path to get here, we welcome you and we value your commitment to our congregation.